Light Yaki straight hair weaves resemble curly hair that has just been chemically straightened - salon-fresh. Who Can Wear Light Yaki Straight Hair Weaves? Light Yaki is the "just straight permed" texture so is slightly silkier than regular Yaki straight hair. The texture is great for those with naturally curly growth hair ranging from 3b to 4c (corkscrew curls of any size through to Afro curls of any size) so if your hair texture is within that range and you're looking for your perfect weave hair match, then you've found it. The main thing to do when choosing your weave hair texture is to make sure that you like the look of it, as you'll be the one who has to wear it. If your aim is to find a straight texture that's slightly smoother than Yaki straight, then this is the weave hair for you. As there are some ever-faithful fans of this texture, some retailers even offer body wave in a light Yaki straight base texture so you can wear waves without having to create them on a daily basis. Much like the information for Yaki straight weave hair, you can find weave hair starting at eight inches through to 28 inches - as we've said elsewhere, you can find longer lengths, but you'll have to look far and wide for them. 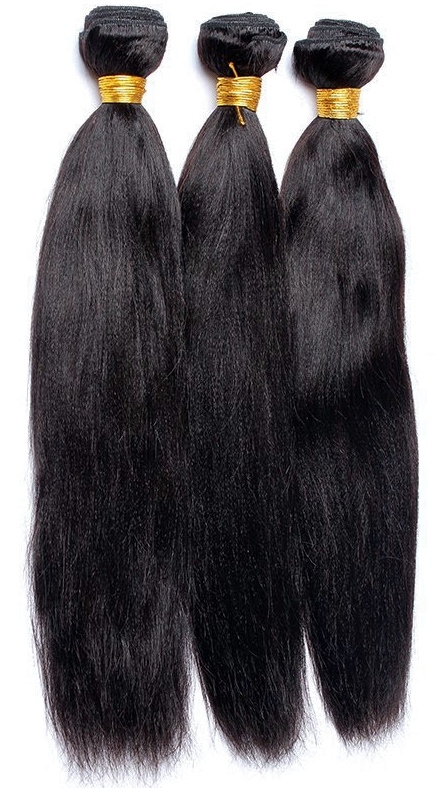 A regular bundle of weave hair is approximately 100gm per weft. If you're a weave hair connoisseur then you'll be aware that you can by weave hair as remy weave hair and non-remy weave hair as well as no-tangle non-remy (don't ask, that's a whole other guide for a whole other time). When choosing your length it's always better to have an idea of whether you'll be having it cut and styled once attached and this will help you buy the length that best suits your ultimate hairstyle. If you're getting a partial weave, measure from the highest point on your head where the weave hair will be attached. If you're getting a full weave, measure from the crown. Light Yaki weave hair comes as solo bundles as well as multiple bundles of different lengths (this makes a difference if you're aiming to have one overall weave hair length) and you can see the value of multiple length sets in the how to make a wig from hair weave guide. As with all things human hair, a whole host of colours are available from 1b to 613 as well as greens, blues, reds, ombres, highlights, dip-dyes, P-colours, T-colours and much, much more! 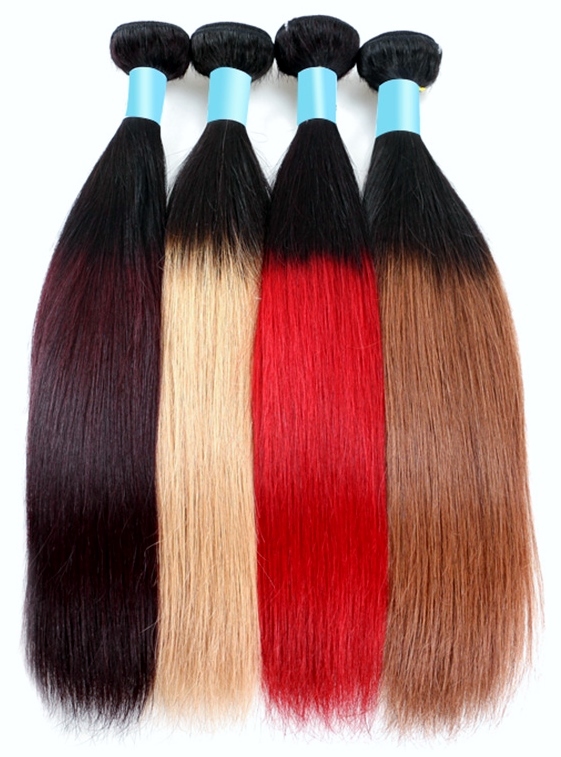 You can also arrange for custom made colours but remember if you're ordering online, you'll have to take into account that colours appear differently on different monitors so make sure your retailer will allow hair extensions to be returned if you're unsure. If you're feeling like Clara Kent (twin of Clark Kent) then you can custom dye your own weave hair - just remember that darker colours, will usually have already been dyed to achieve that colour, so you may well have to lift the current colour before reaching your ultimate colour goal. 1. Wash your weave hair at least every couple of weeks using a shampoo for dry or damaged or coloured hair. 2. Use a leave-in conditioner or deep condition your weave hair (human hair) to repair and strengthen the hair. 3. Keep weave hair moisturized, using a moisturizer that's free from mineral oils as this coats the hair and traps dust and odours. 4. Use hair oils to smooth and nourish the weave hair to tame fly-away hair, frizz or dry ends (for best results apply to damp hair). Light Yaki straight weave hair done and dusted! You can find more information about weave hair at our Hair Extension Q&A section or you can join our blog to keep up to date with the next guide about hair extensions (including weave hair) wigs and hairpieces.